Do 310 Shakes Really Work? Should You Use 310 Nutrition Shakes? Weight loss is always a popular topic and it remains as critical as ever. Yet, for many, sustainable weight loss remains an elusive goal. It can be exceptionally difficult to figure out a method that actually works and, as a result, people often lose weight and then regain it. This 310 Shake review takes a look at the weight loss shakes from the company 310 Nutrition. The focus is on whether the shakes actually work and how they compare to other products on the market. We also look at some of the other products that 310 Nutrition has too offer. 310 Nutrition is a health company that strongly focuses on weight loss.The have a relatively good reputation, including a positive BBB rating and responsive customer service. For example, the site Diet Spotlight talks about this aspect of the company. They offer a number of different products in their range, including a detox tea (similar to Fit Tea), slimming drinks (a little like Plexus Slim) and supplements. However, the company’s main focus is on meal replacement shakes. This is the area that most 310 Nutrition reviews emphasize and it is the focus of this discussion as well. Meal replacement shakes are one of the most common options for weight loss and many different companies offer them. For example, I’ve looked at shakes from Herbalife, Idealshape, Shakeology, Isagenix and Advocare in the past, and there are plenty more similar companies out there. Regardless of the brand, the underlying concept of a meal replacement shake remains the same. As the name suggests, the shake is used instead of one or more meals, typically on a daily basis. The shakes are formulated so that they provide many or all of the nutrients that you might get in a meal. As a general rule, meal replacement shakes do work for weight loss. This happens because a shake tends to have fewer calories than an actual meal. At the same time, they typically contain ingredients to help you feel full, including fiber and protein. Those components can help make sure you keep your calorie intake down and keep you satisfied until your next meal. Shakes are also a popular option simply because you often don’t feel like you are restricting yourself. In particular, many shakes taste good and can even seem like dessert if prepared right. As a result, they can end up feeling like a treat, even though they help with weight loss. While meal replacement shakes do work as a concept, there are many differences between brands. Some heavily rely on artificial ingredients, while others may have fairly high sugar content or contain hardly any protein. This means that some shakes will be much better than others. The largest initial problem that I had with 310 Nutrition is that they had a small selection of shakes, just three flavors. These include vanilla and vanilla chai - which would taste fairly similar to one another. Thankfully, the company has expanded its range to cover six different flavors. The newly added options are: Salted Caramel, Mocha and Chocolate. The last of these is being released in mid-December. This still isn't an amazing selection of flavors and some companies do better. But, it would be good enough in many situations. If you like the flavors currently available, the selection may not be a problem. Still, some other brands (like IdealShape) may have extra options or some more unusual flavors. 310 Nutrition has expanded its range of flavors to include six choices. The additional flavors offer increased variety. The first thing to note is that, like many similar shakes, the calorie count is low. This is important because decreasing your calorie intake is a key aim with weight loss. 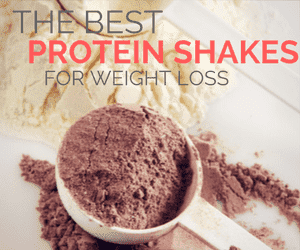 The shakes are also fairly high in both fiber and protein, which is great. These two components play a large role in helping you to stay full. For a meal replacement shake, 15 grams of protein is fairly good. Some other brands have much less, such as IdealShape, which has just 11 grams of protein. However, there are other options with more protein, like Isagenix, which has 24 grams. For that matter, you’d also get more protein with a whey protein shake, rather than a meal replacement shake. One other thing to note is that 310 shakes contain hardly any sugar or fat. To a degree, that outcome is impressive, especially for anybody on a low carb diet. Still, to achieve this outcome, the company does have to add sweeteners. Based on the ingredients list, the primary one appears to be stevia. Stevia is generally considered to be a natural sweetener, which implies that it’s healthy. But, the distinction between artificial and natural sweeteners is misleading. Specifically, the term refers to where the sweetener comes from. Now, a natural product may seem better but it doesn’t necessarily make it a good option for health. Realistically, the distinction between artificial and natural is a human focus. The way our bodies respond to compounds is based on a range of factors and some artificial ingredients could easily be healthier than other natural ones. Sugar is a classic example of this. We know that sugar has many negative implications for health, which is a key reason why companies turn to sweeteners. Yet, sugar is technically a natural sweetener. For that matter, stevia goes through a significant amount of processing anyway, so it’s not as natural as you might expect. Stevia is recognized as safe but there is still some debate about how true this claim is. Likewise, stevia may interact with some medications, especially those that lower blood pressure (1). Now, this probably isn’t an issue if you’re consuming stevia in small amounts. But, if you’re having one or two shakes per day, it’s worth talking to your doctor about the sweetener. Besides that, stevia does have a distinctive taste and this won’t be completely masked by the other ingredients in the shake. The one other thing to consider is the low fat content. On the one hand, low fat does mean lower calories. However, fat can sometimes be satiating (which is one reason why diet products often aren’t satisfying). So, the lack of fat could be an issue for some people. Nevertheless, even with the small issues regarding stevia and fat content, the 310 Shakes do offer most of what you’d be looking for in a meal replacement shake. One interesting thing about the 310 Shakes is that they work for many different diet types. In particular, they rely on plant-based protein and are also free from soy, gluten and dairy. Now, there is merit in using animal-based protein and research suggests that whey protein (which is animal-based) may be superior in some ways. Nevertheless, many people prefer a plant-based option and this would also be particularly relevant for anyone who is lactose intolerant or a vegan. It’s also pretty unusual to find shakes that work for so many different people. In contrast, the brand Shakeology has two vegan flavors but no gluten free ones. Likewise, IdealShape shakes are gluten free (except the cookies ‘n cream flavor) but all of their shakes contain dairy. For that matter, 310 Shake does also have one whey product. This is a vanilla protein shake as well (so, they have two vanilla options, one plant-based and one whey). Just having the one flavor choice for whey isn't amazing. Still, this is one more option. The whey version has most the same benefits and nutrients. But, it isn't soy free, so it won't suit everyone. Like other brands, the 310 Shakes do contain a significant number of nutrients. For the most part, the aim seems to be for the shakes to provide close to one third of your daily nutrient requirements for the specific vitamins and minerals. Each brand tends to have a similar approach, although they will vary in terms of what specific nutrients are present and their proportions. The additional nutrients could potentially help, especially if you were replacing multiple meals per day with the shakes. Nevertheless, it’s still better to get your vitamins and minerals from whole food, if at all possible. Besides this, the nutrients aren’t really as good as they first appear to be. In particular, the idea is mostly the same as simply taking a multivitamin supplement and those aren’t nearly as beneficial as you might think (2,3). Indeed, if you're already getting enough of the various nutrients from your diet (and you may be), then the extra vitamins and minerals aren't going to do much at all. 310 Nutrition doesn’t seem to directly sell shakes anywhere but their site, which makes it harder to find accurate information. To make matters worse, reviews are often biased by people promoting the products and those who are passionate. However, there are a small number of the products sold on Amazon and some of the perspectives there suggest that the shakes themselves are popular, with some people being successful at losing weight. The weight loss outcome is encouraging, especially as this is why people would buy the shakes. Nevertheless, a similar benefit would be true for most meal replacement shakes. Some reviews did indicate that the shakes are actually good at suppressing appetite. This information is especially relevant, as some brands are more effective than others at stopping people from feeling hungry. There is also suggestions that the taste is appealing, with people often going back to the brand. But, opinions about taste do vary (as always). This means that some people hate the shakes while others love them. However, some responses suggest that the formulation of the shake has changed recently. As a result, the positive reviews about flavor may no longer be accurate. Reports of side effects were relatively rare, although I did see a few reports of headaches and abdominal pain. As side effects weren’t commonly reported, it’s hard to know what the cause is and whether it as even associated with the shakes. Such effects could occur because the person was new to using protein shakes or because they dramatically increased their protein intake. Both practices can sometimes cause side effects. This is why it's best to make dramatic dietary changes slowly and give your body the chance to adjust. If you’re interested in the 310 Shakes, then the main place to buy them is from the company’s site. There are also some sellers on Amazon that stock them but the number of listings is relatively few. Now, the price is one significant issue. So, you’re paying $68 for one packet of the shake mix, which contains 28 servings. If you were having one shake per day, then a container would last you just under a month. However, if you were having two shakes per day, you’d need to buy at least two of the packs each month. This does add up fast. The cost breaks down to around $2.43 per serving. Whether this is worth it is debatable. For one thing, $2.43 is less than you’d typically pay for a meal, so you’re saving money in that way. However, if you add milk or berries to the shake, then your savings wouldn’t be as significant. Additionally, the shakes are less expensive than many other brands. For example, Isagenix averages out at around $3.71 per serving, while Shakeology is around $4.33 per serving. The price difference may make the shakes worth considering. Still, there are cheaper options, especially if you turn to protein shakes instead of meal replacement ones. However, the price is also different if you turn to the deals and kits that the site offers. The kits focus on health or weight loss in general, rather than just the shakes. For example, there is a Lifestyle Starter Kit, which includes one supplement, a bag of shake mix, a shaker and coaching. There are also deals like their Super Saving Bundle. These are much larger and contain many different shakes. Even so, most of the deals do give you other things. They're powerful if you're interested in other 310 Nutrition products. But, if you just want the shakes, the bundles may not help all that much. If you do buy from the site, make sure you read the fine print. Multiple reviewers state that they signed up for a sample and were then rebilled. That information does seem to be in the fine print, so the company isn’t doing anything wrong, technically. Still, billing issues like this are always concerning and don’t paint a very good picture about the company. There are many different ways to prepare protein shakes and some will end up tasting better than others. Companies will often recommend that you simply mix the shake with water and this can be a tempting idea, as it means the calories are as low as possible. However, most meal replacement shakes taste horrible with just water and the 310 Shakes don’t seem to be an exception. Indeed, many of the negative reviews about taste may have come from people just adding water. In contrast, many users rely on fruit (particularly berries), along with milk or yogurt. Taking this type of approach can be a great way to make the shakes taste good and ensure that they’re actually enjoyable. For that matter, doing so can even help with weight loss, as you’re often making the shake more filling. 310 Nutrition also offers some recipes, including the Green Fields Forever shake below. The Green Fields Forever recipe isn't a high caloric shake. However, it’s still important to remember that any addition will increase the calories. While this might not be a big deal, it is something that you need to account for. After all, the shakes aren’t going to be effective if you’re not actually lowering your energy intake. You can also turn to recipes on other sites - even ones that weren't designed for 310 Nutrition shakes specifically. For example, Yuri Elkaim offers a roundup of 17 different chocolate protein shake recipes. The basic concept is that the 310 Nutrition shakes should work for weight loss, especially due to their protein and fiber content, along with their low calorie nature. Indeed, the idea of using shakes for weight loss is realistic. You're basically replacing one (or two) of your meals with a shake. If you can do this without increasing calorie intake elsewhere, then yes, you would lose weight. The protein and fiber also help you to stay full until your next meal. For many people, the biggest challenge would simply be sticking to the shakes on a regular basis. You could also make use of some of the other products from the company, including appetite suppressors and a metabolism booster. However, supplements for weight loss tend to be fairly ineffective. In most cases, they have little impact and certainly won’t be as powerful as decreasing your calorie intake. As a result, you should consider these supplements carefully before investing in them. Meal replacement shakes can truly work for weight loss. However, they’re not the amazing solution that companies like 310 Nutrition imply. Instead, this type of shake may work well for some people and be a waste of time for others. This is a topic that the site Stay at Home Mum considers in detail as well. One reason is that you are relying on liquid calories, which is never going to be as filling as actual food. Because of this, many people find that they get hungry again relatively quickly. This can make it extremely difficult to avoid snacking or eating extra food. Some people also find that they end up irritable as a result, especially if they don’t deal well with being hungry. An additional issue is that you’re not getting the same nutrients as with an actual meal. For that matter, the nutrients you do get are added in. If you rely on shakes in the long-term, this issue could even mean you end up deficient in some areas. Finally, meal replacement shakes force you to rely on a pre-prepared product, which may have some artificial ingredients. Doing so is never going to promote long-term healthy eating strategies and most people won’t be willing to use them for an extended time anyway. All of these issues mean that experts vary considerably in their opinions on this type of shake. Many favor a diet that relies on whole food and healthy meals, rather than this type of shake (4). Indeed, such an approach does tend to have more long-term potential. For that matter, there is growing interest in moving away from the idea of diets altogether and towards lifestyle changes. A lifestyle change tends to be less intense than a diet and typically focuses on finding an approach that is sustainable in the long-term. As a consequence, the best lifestyle varies from one person to the next. For example, some people choose to follow concepts like intermittent fasting, where they are intentionally hungry some of the time. Others may rely on eating patterns that they can sustain in the long-term, like Paleo, low carb or ketogenic approaches. But, in the short-term, a meal replacement shake can work well for weight loss. Some experts also argue that the shakes can be a good way to ‘jump start’ weight loss and you can then turn to other strategies as time goes on (5). More than anything, the answer comes down to who you are and what works for you. For some, this type of shake may be the exact answer they were looking for. For others, the approach may be a waste of time. Still, it’s clear from the 310 Nutrition reviews and the shake nutrition that these meal replacement shakes are a fairly good choice. Likewise, they may be better than many of the other brands on the market. What do you think? Does this brand stand out or is just the same as all the rest?